The boyfriend has been toiling away many hours in FTL: Faster Than Light recently. I’ve been playing vicariously through him and helping him along the path to victory by suggesting horrible and poorly thought out ideas. Yes, let’s remove all of the oxygen from your ship. That will surely ward off your intruders! But at least those bad guys are gone! Problem solved! When in doubt, do your best to avoid the sun. OH NO, NOT THE SUN. THIS IS SO UNFORTUNATE! Total prep time will take about 30 minutes. Total cook time will be about 20 minutes. This will make 4 servings. Set a pot of water to boil. When water reaches a boil, add in salt and pasta. Allow pasta to cook for approximately 8 minutes. While pasta cooks, prepare the rest of the ingredients. When pasta finishes cooking, remove from heat. 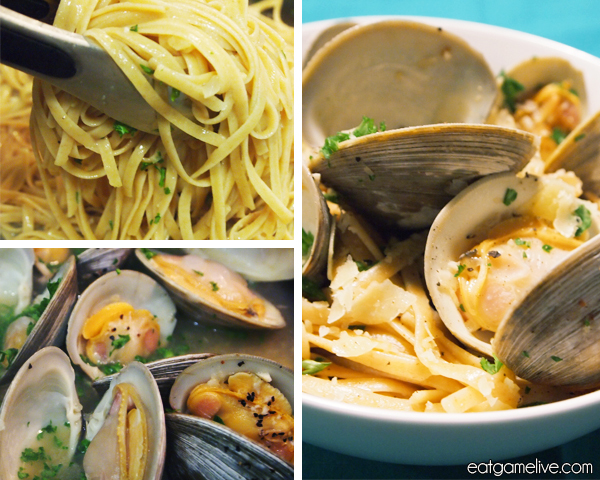 Do not strain pasta until your clams have finished cooking. Set a skillet on high heat. Place your oil in the pan and allow it to heat. When skillet is hot, saute your minced garlic and minced onions. Season garlic and onions with salt and pepper. 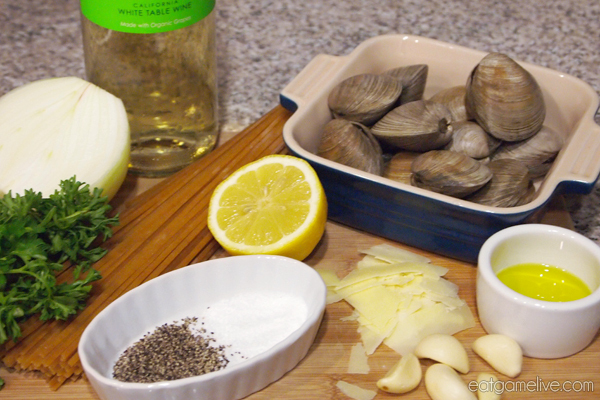 When onions become translucent, add in your white wine and clams. Make sure that your clams are thoroughly cleaned. Throw away any clams that have already been opened or any that have severe cracks in their shells. 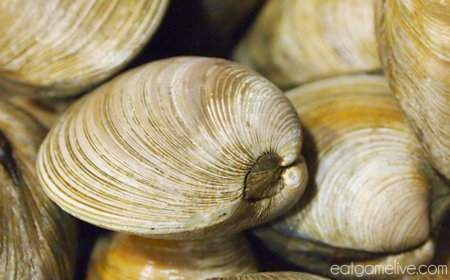 Live clams will have closed shells (they will open during cooking). Cover skillet with a lid and allow the clams to steam. Cook clams for about 7 minutes or until the shells begin to open. Remove from heat and add chopped parsley. 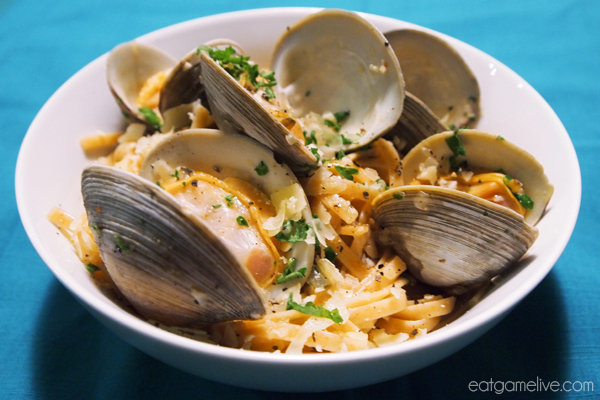 When clams have completed cooking, temporarily remove the clams from the skillet. Add in your strained pasta and gently toss pasta through the sauce. Remove pasta and place on a plate. Top the pasta with cooked clams and cheese. OPTIONAL: Add fresh cracked pepper over the dish. Garnish with additional parsley. And that’s all you need. GG WP! This classic and easy dish will be able to fuel you on your quest to escape the rebel fleet. ESCAPE THE REBELS, OR DIE TRYIN’. 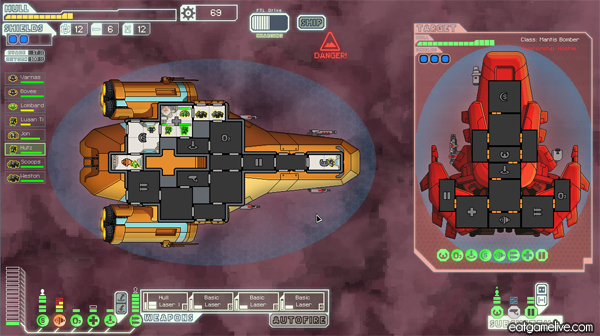 In FTL, you have full command of your ship (including doors and air vents) and your loyal crew. Decisions you make throughout the game should be determined by your ability to manage your limited resources. Would you accept a pirate’s bribe for a small amount of resources or kill them for a larger bounty while risking your crew and your ship? 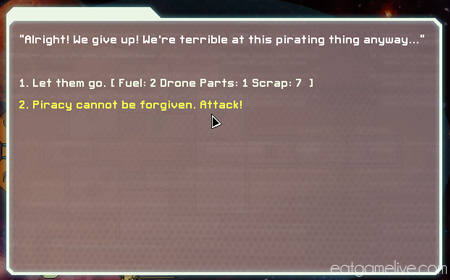 FTL is a very interesting strategy game that requires a lot of micromanagement. If that’s your thing, I suggest you check out their website for more information about the game. Here’s one last protip for you: try not to die. 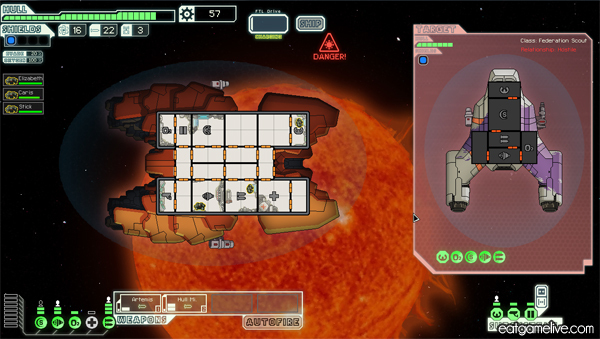 This entry was posted in faster than light, seafood by admin. Bookmark the permalink.